Executive Email Addresses Help Unemployed People Find Jobs On AtoZdatabases! OMAHA, Neb., Feb. 24, 2012 /PRNewswire-iReach/ — AtoZdatabases, a leading provider of reference and marketing databases to Libraries and Government Agencies across the United States, is now offering all Libraries that subscribe to their service 8 million executive emails. This new, valuable data makes AtoZdatabases the source for information in the reference market. For a FREE 10 Day Trial of AtoZdatabases, please call toll-free 877-428-0101 or email Christine.Smailys@AtoZdatabases.com. AtoZdatabases, powered by Database101, is a leading provider of premier reference and marketing databases to Libraries and Government Agencies across the United States. For more information, visit www.atozdatabases.com or contact Christine at 1-877-428-0101 or Christine.Smailys@AtoZdatabases.com. Curriculum Vitae: an outline of a person’s educational and professional history, usually prepared for job applications (L, lit. : the course of one’s life). Another name for a CV is a résumé. A CV is the most flexible and convenient way to make applications. It conveys your personal details in the way that presents you in the best possible light. A CV is a marketing document in which you are marketing something: yourself! 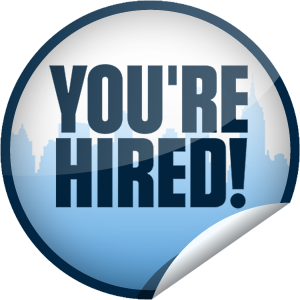 You need to “sell” your skills, abilities, qualifications and experience to employers. It can be used to make multiple applications to employers in a specific career area. For this reason, many large graduate recruiters will not accept CVs and instead use their own application form. Often selectors read CVs outside working hours. They may have a pile of 50 CVs from which to select five interviewees. It’s evening and they would rather be in the pub with friends. If your CV is hard work to read: unclear, badly laid out and containing irrelevant information, they will just just move on to the next CV. There is no “one best way” to construct a CV; it is your document and can be structured as you wish within the basic framework below. It can be on paper or on-line or even on a T-shirt (a gimmicky approach that might work for “creative” jobs but not generally advised!). Normally these would be your name, address, date of birth (although with age discrimination laws now in force this isn’t essential), telephone number and email. Even work in a shop, bar or restaurant will involve working in a team, providing a quality service to customers, and dealing tactfully with complaints. Don’t mention the routine, non-people tasks (cleaning the tables) unless you are applying for a casual summer job in a restaurant or similar.